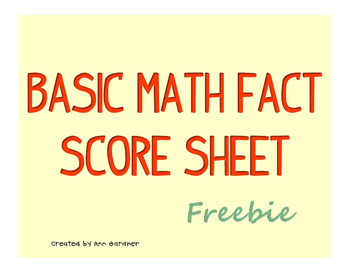 Math Fact Score Sheet for recording basic fact scores from timed fact tests. My students keep this in their Data Notebooks. 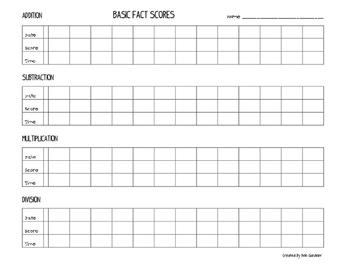 Great for charting student progress. Great way for them to see their progress!